For some reason that I am unaware of, my father's family takes this feast day very seriously. Out on my father's ranch is a small chapel. When I visited my father as an adult (first time I had been to his ranch since I was 15 months old) I was there on the occasion of this feast. A priest came out, the extended family gathered, and we had mass in that chapel, way out in the relative wilderness of Northern New Mexico. I thought that was pretty neat. You can read a great biography of the saint from Jean Heimann here. Here's my take on the story. He starts out in a rich family, but devotes himself to study and prayer. He prepares. He joins a monastics in the Augustine order, but is inspired by the Franciscans, so he changes. He wants to be a martyr, but ironically he becomes too sick. So he has to abandon that plan. He wants to go back to Portugal to recover but ends up stranded in Sicily. He spends the rest of his life in Italy and is even known as St. Anthony of Padua, which is a city in northern Italy. He spends his days doing menial tasks, but one day at mass he has the opportunity to preach the gospel. Even though he doesn't want to do it, he does. And his homily is so inspiring that he is encouraged to preach all the time and eventually became a great orator. So great in fact, that he is a Doctor of the Church. When his remains were exposed after death, his tongue was found to be incorrupt. 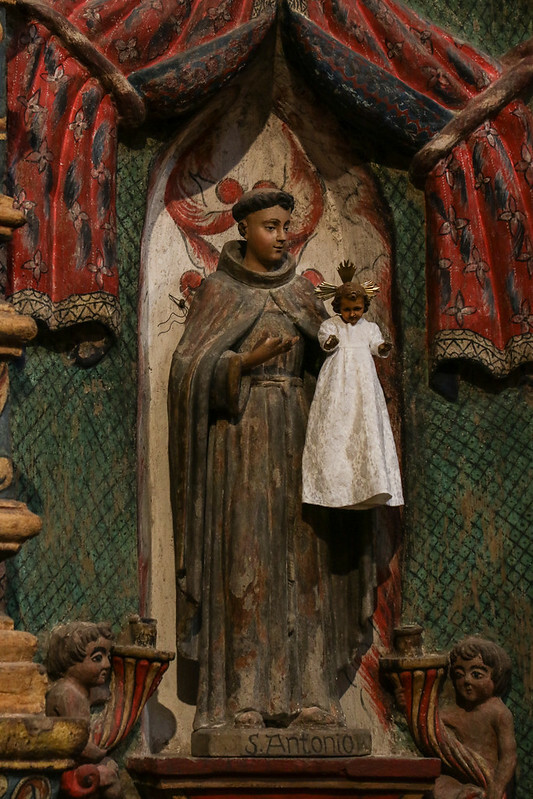 St. Anthony is the patron of many different things and is invoked for special miracles. But I think he should definitely be the saint of young people who are trying to find their role in this life. They should follow St. Anthony's example and prepare, and then go where God is sending them, even if that means they have to give up their own plans and abandon their own understanding to do so. Gluten free? Try this blender bread!